Default windows “Photo” app is clumsy at some point, missed the earlier “Photo Viewer” program. So, going back to root and after googling, here’s a small hack to enable “Windows Photo Viewer” in windows 10 edition. Double-click on your new REG file to merge it with your Windows Registry. You will need to click through the User Account Control and a few other windows to allow the file to make changes to the Registry. Next what you need is to right click on any JPEG/JPG/BMP/PNG/GIF file that you want open/view using legacy windows photo viewer and make it as default. 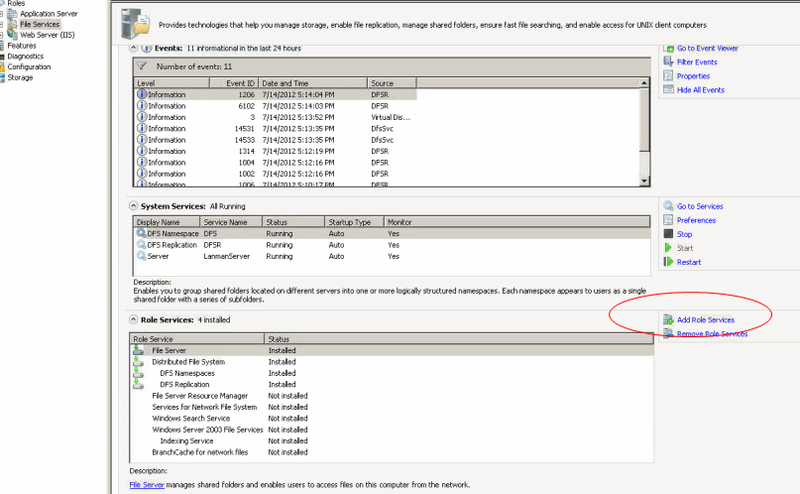 Posted in Administrations, Configurations (Windows). Tagged Windows Photo Viewer. Note that the %userprofile% part of that path automatically jumps you to the user folder for the currently logged in user (by default at C:\Users\<username> ). In the folder, you’re going to see a whole bunch of files with long, meaningless file names and no extensions. Some of these are the image files you’re looking for; many are not. Posted in Configurations (Windows). Tagged Windows 10. Very weird fix. But it works. Her it goes. Posted in Configurations (Windows). Tagged Cmd, Windows 10, Windows10. 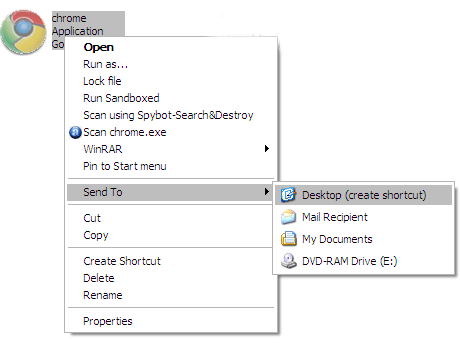 Place a Google Chrome shortcut on the desktop (or any other desired location). 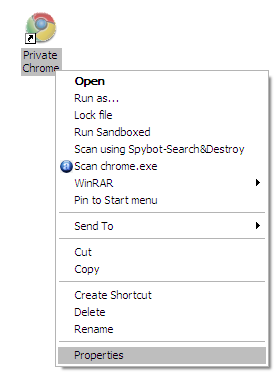 Rename the shortcut to any convenient name like – Private Chrome. Right click on the shortcut and select “˜Properties’. On the “˜Target’ field add an –incognito to the end of program path. (Note: Make sure there is a space between the last apostrophe and the dash). Your incognito browser is now ready for launch. 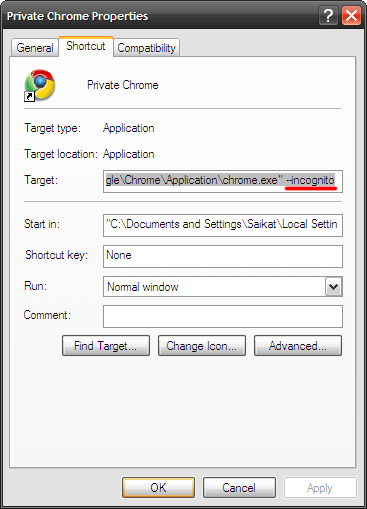 If you select “˜New Window’ from settings, you will get a normal non-incognito chrome window. 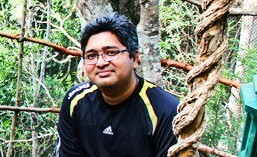 Posted in Collected Articles, Configurations (Windows). Tagged Chrome. Regarding the OP’s problem, it appears the installer exe requires to use resources held by other processes. For me it was Skype and Logitech wireless mouse software. start task manager, you’ll see setup.exe running as a background process but consuming no CPU cycles. Posted in Administrations, Configurations (Windows). Tagged Photoshop, Windows10. 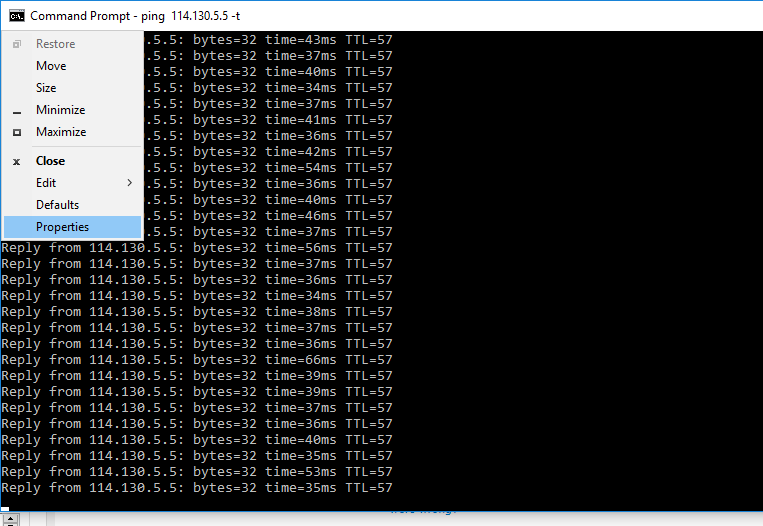 Now, the next thing- either you get internet from the wired port or to be in some case, you may connect your android phone as wireless tethering and connect through mobile data service. Whatever the case- you basically got 2 interface for setting up the router- the WAN (either the wired or the mobile tethered connection) and the LAN- the wifi ethernet. Posted in Administrations, Configurations (Windows). Tagged PC Router, Wifi, Windows Wifi. Posted in Configurations (Linux), Configurations (Windows). Tagged Windows, Zenoss. Posted in Configurations (Windows). Tagged RDP.